NOTE: Click here to buy diagnostic adapter for this software for BEST PRICE. 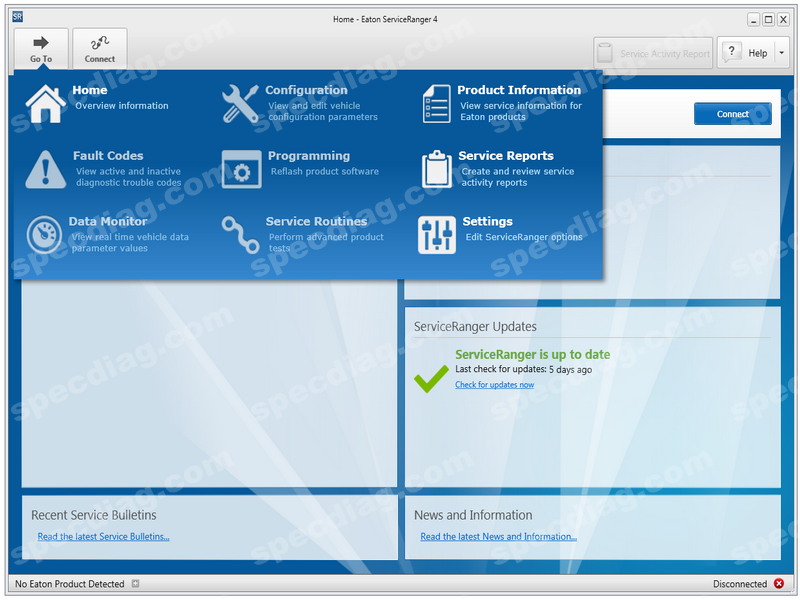 ServiceRanger software for diagnostic of new and existing Eaton automated transmissions. • AutoShift Gen1 and Bendix VORAD EVT-300 (only by ServiceRanger v2). • View active and inactive fault codes. • Create and review service activity reports. 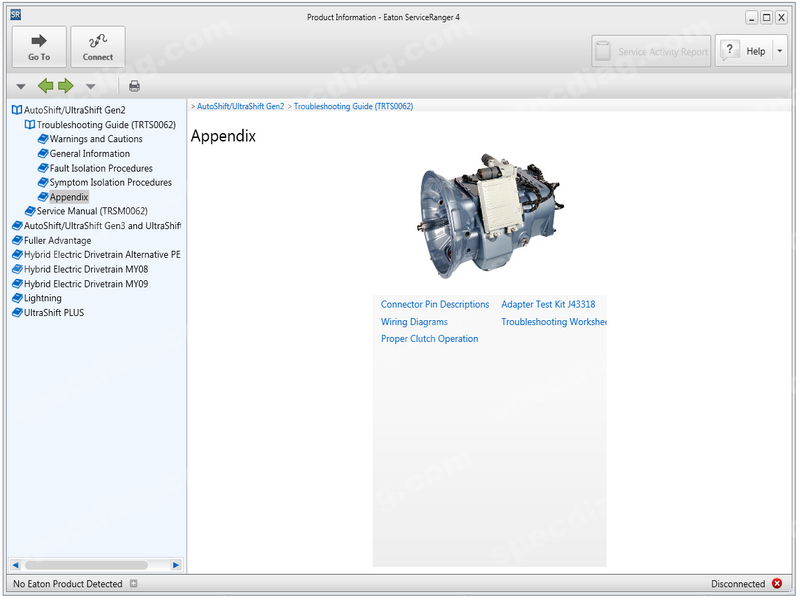 • View and edit vehicle configuration parameters. • View real-time vehicle data parameter values. 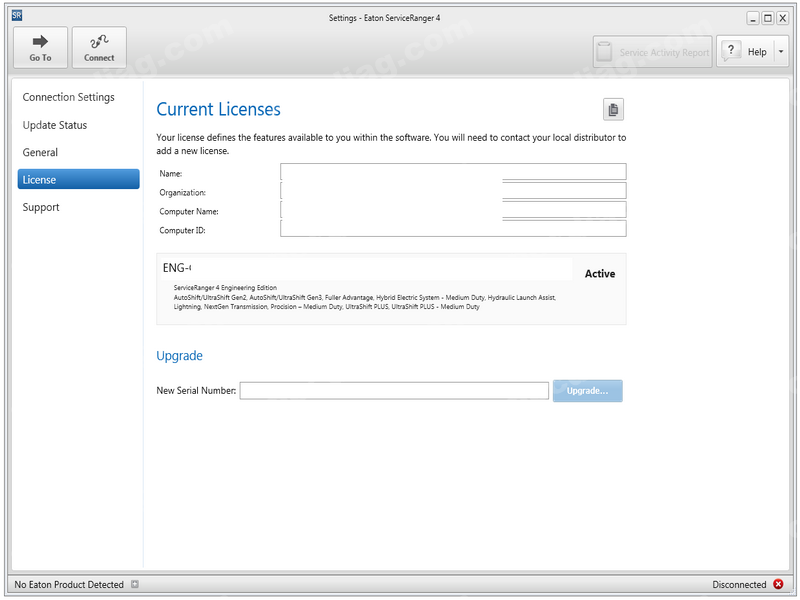 • Update vehicle product software. • View service information for Eaton products. 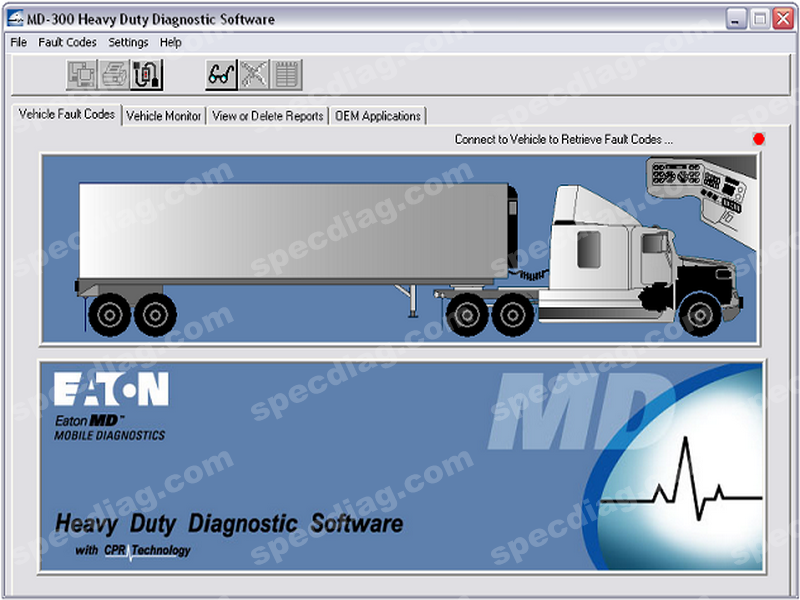 Eaton MD-300 Heavy Duty Diagnostic software is designed to diagnose electronic systems on heavy duty vehicles using the SAE J1587 diagnostic link. • Monitors several truck components simultaneously. • Graphic Vehicle Interface (GVI), graphically displays vehicle components and their status. • Graph up to four components individually or up to 15 collectively! • Retrieves and clears fault codes. • Create custom diagnostics and save set-ups. • E-Mail or print reports directly from software. • Easy export of data for further analysis. • Easily accessible SAE Database information. • Allows for web based solutions and software upgrades. • Quickly create, save and retrieve Vehicle Service Reports with various query abilities. • CPR (Categorized Parameter Recognition).